2019 >> Hosting World Pvt. 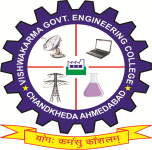 Ltd.
>>Campus placement for Instrumentation and Control Engineering in Process Control Company Ltd.
>>Campus Visit for IC Engg. - Masibus Automation And Instrumentation Pvt. Ltd.
Congratulations to all the students. Designed & Developed By :- Computer Eng. Dept.